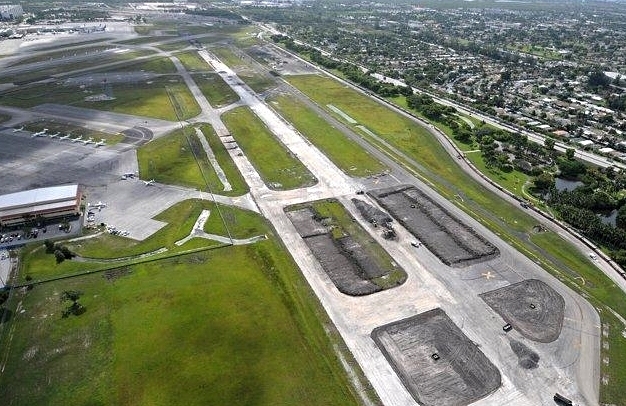 Ft. Lauderdale Runway — CES Consultants, Inc.
CES is providing construction inspection services for the Fort Lauderdale-Hollywood International Airport (FLL) Runway 9R-27L Expansion Project, under a multi-part construction project management contract. The expansion of Runway 9R-27L is critical not only to the airport’s long-range program, but also to the overall air traffic system in the United States. 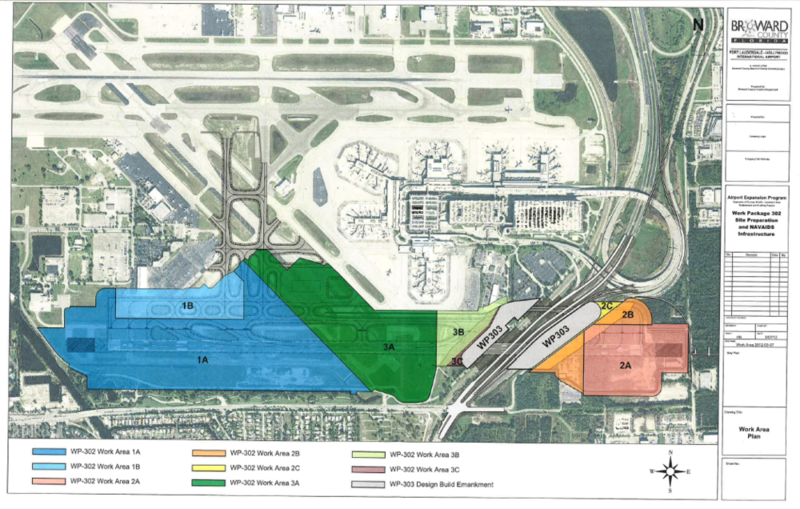 The estimated $791 million project, expected to be substantially completed by the fall of 2014, will expand the south runway to 8,000 ft and widen it by 50 ft for a total width of 150 ft. The runway’s designation will change from 9R-27L to 10R-28L. The CPM services fall under two major components: WP 302 Site Preparation & NAVAIDS Structures (Runway Earthwork Project) and WP303 US-1 / FEC Railroad & Bridge Structures. The work includes Permitting; Safety & Security Operations / AOA / Landside Work; Earthwork Hauling / Delivery Operations; QAQC; Equipment Mobilizations; and East / West Project Site Operations (which include establishing survey controls; working with existing utility locations; setting up clearing and grubbing limits; conducting test borings for soil improvements; installing silt fences and turbidity barriers; performing clearing and grubbing operations; removing pavement markings; performing grinding and rejuvenation; and rerouting and removing airfield lights and signs).